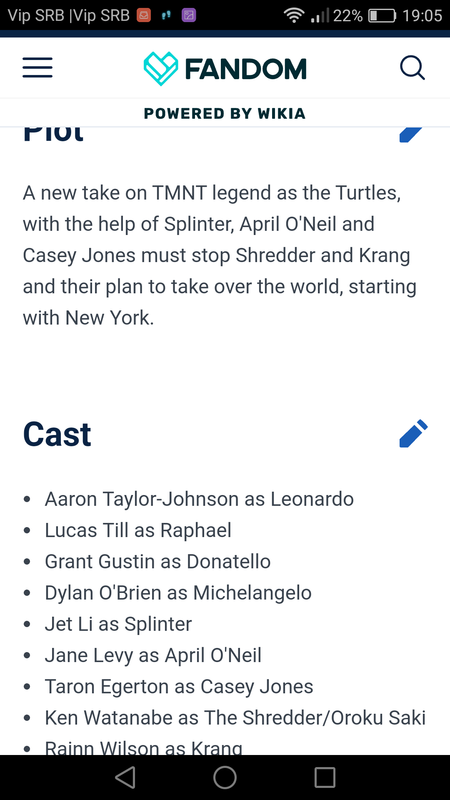 again this is but a glimpse of what's to come to the ninja turtle films in both apparent reboot and the two sequels to out of the shadows. i dunno if it's BS but for me it brings me so much excitement and joy. :tgrin: here's hoping these new films are being planned and they are true blue. 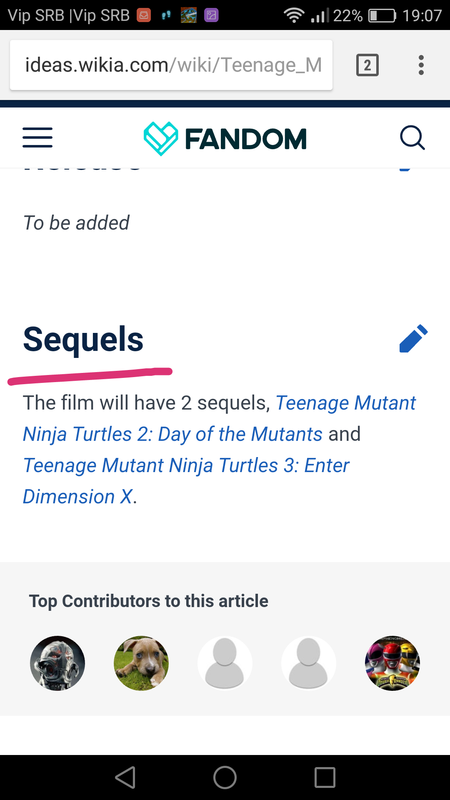 Yeah, ideas wiki? It's a page of film's people want to see made- kind of a dream staff/cast/plot for a film. 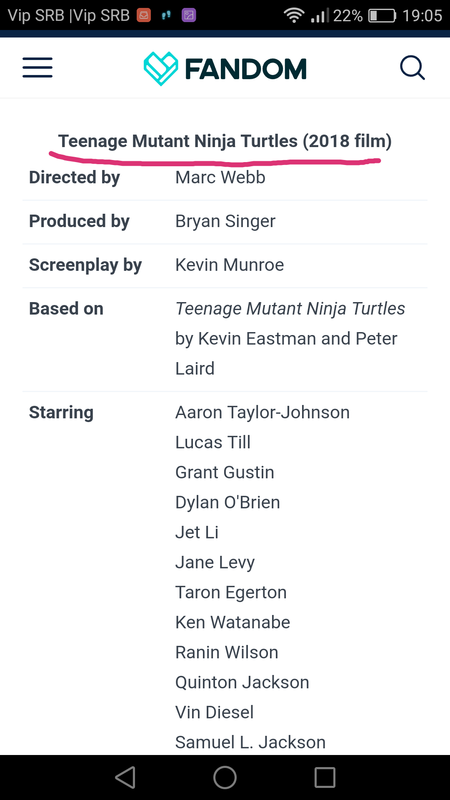 The Amazing Spider-Man director with X-Man Bryan Singer as Producer, and TMNT 2007 Munroe to write. No, it isn't fake, because it isn't intended to trick people into believing it has been confirmed. As said, it's just ideas of fiction people want. I just remembered that 2018 is next year. Not even Cubeing you. Who wants to make a plot synopsis based on it? Yeah, ideas.wiki is, to my understanding, simply a place where people pretend to pitch their own ideas. I think I came across one of those a bit ago. Just by seeing the word "fandom" on the page, it's fake as hell. The cast for it confirms that too. Nope, just an enormous fool. Fandom is Wikia's new branding. Why is this even a thing? And how is it not fake? Somebody made up a movie. 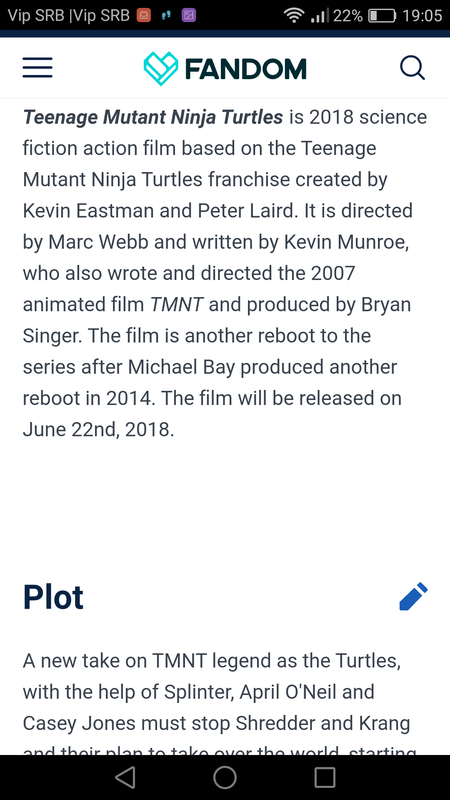 A movie that doesn't will not exist. That's what fake means. Oh. He's been on my ignore list for a decade, either way. I think the fact they have names for the sequels pretty much gives the game away.